The very first flower: a brave Japonica! 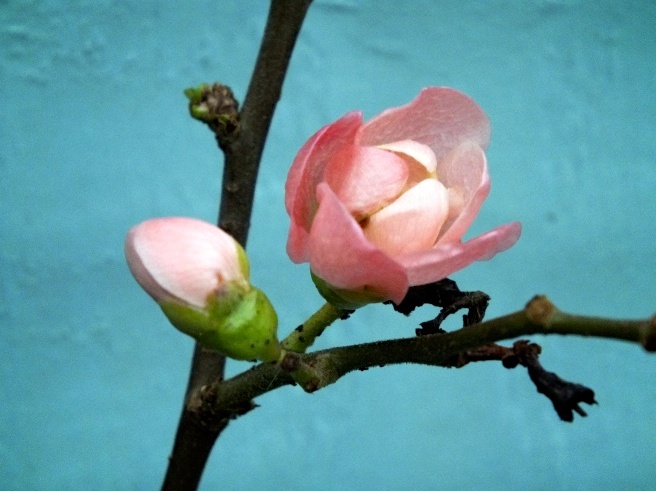 Today the very first flower appeared in my still bare and wintry garden. It looks beautiful against the sea grass painted fence. Despite the temperature on this freezing January afternoon, this flowering quince has decided to be the very first post in my garden blog.